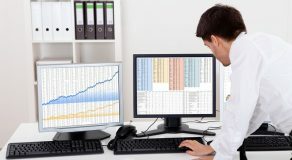 We asked a professional analyst to tell us what are the secrets of technical trading. These ten laws are what will help you become better at trading as long as you follow them to the letter. 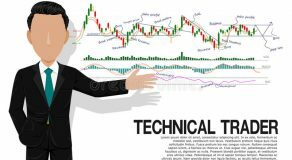 Thanks to the Day Trade Review team for providing some of these insights. There are a lot of questions a trader has during each trading day. 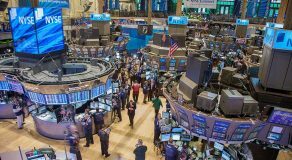 Is the market on the move? How significant is the move? Which way is it going? When will it reverse? And, if you are a technical trader, you will want to get answers to those questions. You will utilize the graphs, charts, and various formulas to try and predict the future. And, behind all of those, there are fundamental ideas and rules that apply to technical analysis. So, we have asked the expert to explain what we should consider before going into trades. And, with many years of experience behind him, he has given us ten essential tips to improve our game. Any beginner who wants to try their hand in technical trading would be wise to abide by these. 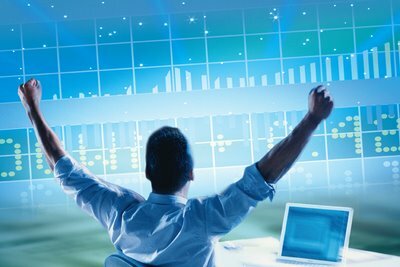 If you are here looking for tips, treat these ten tips as laws of trading. They will help you understand the idea of technical trading as a whole. And, if you already have some experience in this field, make sure to go through them, as they can help streamline your methodology. You should start your chart analysis off with weekly and monthly charts that span several years. You want to have more visibility and accurate perspective on a market to predict its movement. And that is why creating a large scale map is beneficial. You want to map the trends and use that knowledge to turn a profit. So, once you establish the long-term map, go on and consult shorter term charts. Some people prefer to stick to the short-term view alone. However, that can be tricky. So, even if you consider yourself to be a short-term trader, it would be wise to understand the long-term trends beforehand. Intraday charts can otherwise be very deceiving. Trading is not a spectator sport; once you determine a trend, go with it. Of course, make sure to classify the trend correctly. Trends, as such, can be short, intermediate, or long-term. So, once you know which type the one you are using is, you can determine the appropriate chart. If the trend you are following is intermediate, you should focus on weekly and daily charts. Otherwise, if you are a day trader, you can utilize the intraday charts too. Just make sure to use the long-range charts to map the trend. Daily charts are there to help you perfect your timing and maximize your gains. With the knowledge of the trend, you will be able to trade in the direction the trend is going. If the trend is going up, you can use it to buy dips. And, if it is going down, you can sell rallies. 8. Identify the Resistance and Support Levels For the Trend. As we all know, finding the high points and the low points of a stock’s price movement is crucial to traders. You want to buy when it is nearing the support levels. You can usually determine the support level by finding the low of the previous market reaction. And, if you want to sell, you should do so when a market is nearing its resistance levels. Determine the resistance by identifying the previous peak. However, this is not always the case. Both the peak and the low can be broken during a stock movement. If the stock breaks the peak, that peak will become the new support level for future pullbacks. And, if it breaks the low, it will become the new resistance level for following rallies. One of the things you have to know is how far you will backtrack. Whether a market is going up or down, it will face corrections along the way. One way to quickly measure these corrections is by using percentages. And, with those percentage numbers, you should figure out how big of a retracement you are facing right now. It is very common for a trend to retrace fifty percent. Usually, a retracement won’t be smaller than 33% or bigger than 66%. You can use this information to determine your buying or selling points in trends. So, if there is an uptrend that is going through a pullback, your initial entry point is in the retracement area of 33-38%. Being able to have a visual representation is very useful. So, you should make sure to draw trend lines as you do your analysis. And it is very simple to do so. 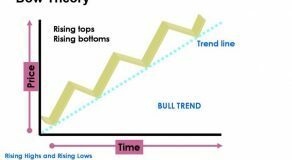 If there is an uptrend, identify two successive lows and draw along them. And, do the reverse for down trends by drawing along successive peaks. While the prices will go up and down through time, they will usually hit the trend line and go back to their original course. If prices actually break the trend lines, that can be a signal indicating a change in trend. To confirm you have a valid trend line, you should be able to identify at least three “touches.” And, of course, the more tests it goes through, the more important a trend line is. If you want to have objective buy and sell signals, you will do well to follow moving averages. With them, you will be able to see if the trends are changing, or remaining the same. Just bear in mind that they won’t be able to tell you that in advance. 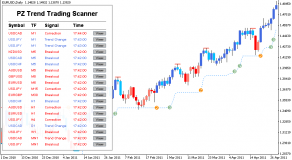 The most popular method includes combining two moving averages to find trading signals. Use one shorter and one longer average line (most commonly, 9 and 18- day lines). And, once the shorter line crosses the longer one, the signal is formed. If you are new, you will learn to love indicators of all kinds. And oscillators are there to help you find markets that are being overbought or oversold. That means that, with oscillators, you can get a warning when a market moves too far in a certain direction and will probably turn. Two of the most used oscillators right now are the RSI (Relative Strength Index) and the Stochastic. These simple indicators can help you up your game significantly. If the readings of RSI, for example, show over 70, the market is overbought, or, if they are under 30, the market is oversold. With Stochastic, the limit numbers are 20 and 80. This indicator works by combining the moving average system with the elements of an oscillator. It is a bit more complex, but it is also beneficial once you master it. In essence, a sell signal occurs when both lines are above zero, and a faster line crosses below the slower one. Conversely, a buy signal takes place when both lines are under zero, and the faster line passes above the slower line. Bear in mind that weekly signals are stronger than daily ones. You can use the ADX indicator to confirm a trending phase. This index helps by measuring the strength of a trend or the direction in a market. If the ADX line is rising, that is a sign of a powerful trend. Alternatively, if it is falling, it is a sign of a trading market, instead of a trend. This indicator will help you determine which other indicators to use in the market. If the ADX line is rising, you should opt for moving averages, and, if it is falling, consider going with oscillators instead. This tip represents one of the most important rules of trading. After all, volume is one of the most important confirmation indicators when it comes to trends. You should follow the volume even during confirmed trends. During up days, you should see heavier volume. That would confirm that the funds are coming in to support the trend. If the volume is declining, you should take it as a warning that the trend might be ending. Following the volume can help you avoid entering an uptrend right before it ends. Using technical analysis to trade is not easy. The more you use it, the better you will become.